Cookies with cottage cheese and vanilla, fried. Description: This recipe is very simple and tasty. Doughnut - Fried pastry. 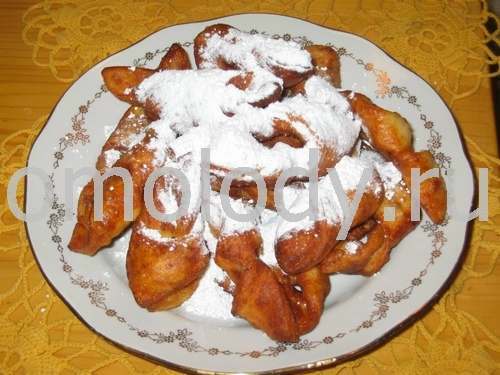 Dough or batter is deep fried and dusted with powdered sugar. 2. Stir in the egg and mayonnaise. Combine with beaten cottage cheese and vanilla. 3. Mix carefully. Make cookies and fry in oil until golden. Dust with icing sugar.